Tequila and Bats have a long standing relationship. Tequila and bats have a long-standing relationship. 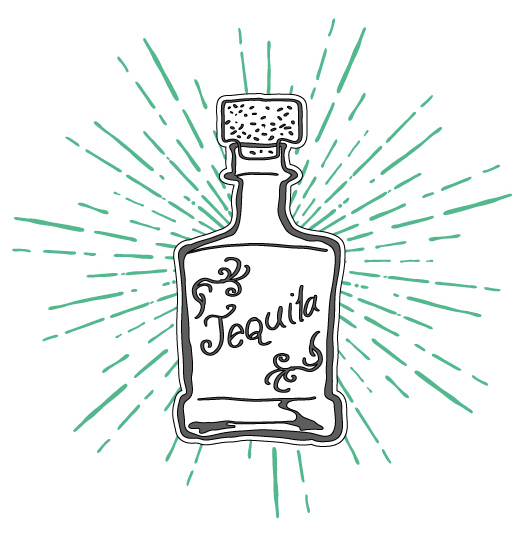 It isn’t that bats are margarita drinkers (although that would be kind of cool); bats are part of the process that turns agave flowers into tequila and mezcal. Bats, specifically long-nosed bats, are agave pollinators. Blue agave (Agave tequilana) is an amazing plant. The plant itself has blue spiky leaves just as the name suggests. It takes ten years to develop before it flowers and then it only flowers at night. The yellow, sixteen-foot tall flower is deeply throated so only pollinators like bats can reach in to sample its nectar. As the bat feeds, it gets thoroughly coated in pollen. The little granules stick to the bat’s fur so it looks a bit like it lost a fight with a sack of flour. The bat takes a messy dive in and leaves behind a successfully pollinated agave flower that will eventually ripen into agave fruit and bear thousands of seeds. After the fruit is ripe, the plant prepares to die and its long journey is over. Workers harvest the center of the agave to be made into gorgeous bottles of tequila and mezcal. Countries like Mexico are working to protect wild agave to keep a disease-free strain available for local growers. Bat-pollinated agave has the advantage of diversity which makes for healthier plants. These bats, with their wild ways, ensure that we have strong agave for distilling lip-smacking tequila in the future. Are you curious about bats? We are too so check out this video courtesy of PBS: Bats: Guardians of the Night. 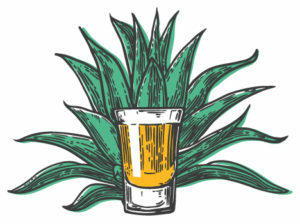 You might want to sip a glass of agave-based tequila or mezcal as you watch the video. Salud! We wish these fuzzy little flyers a long life!